RaÃºl confirms that the New York Cosmos will be the last club he plays for. 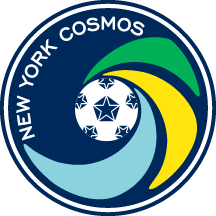 NEW YORK (October 15, 2015) – New York Cosmos forward, Raúl announced today that he will be retiring from playing soccer at the end of the NASL season (November). Raúl commented: “When I signed for the New York Cosmos in December, I said I would evaluate how I felt towards the end of the year and assess whether I would continue to play. “My decision is to retire from playing at the end of this season. I am fully focused on finishing the season strong and helping the New York Cosmos win the NASL Championship. In the coming months I will decide the next step in my career. “Playing soccer has been part of my life for so long and the decision to retire is not an easy one but I believe it is the right time. New York Cosmos head coach, Giovanni Savarese said: “Raúl is one of the world's most iconic players. I knew when we signed him what he would bring on pitch but his knowledge, passion, professionalism and commitment has exceeded my expectations. “In less than a year, Raúl has become a big part of the team and he will always remain part of the Cosmos family,” he added. Raúl built a legendary career at the famed Spanish club Real Madrid – beginning his professional career with the team in 1994 and remaining with Los Blancos for 16 years, leading the club to six La Liga titles, four Spanish Super Cups, and three UEFA Champions League titles. He left Real Madrid in 2010 as the team’s all-time leading goal scorer and moved to German club FC Schalke 04. At Schalke, Raúl scored 40 goals in 98 total matches, leading the Bundesliga outfit to the Champions League semifinal in 2011, before departing for Al-Sadd Sports Club in 2012.